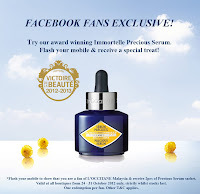 Flash your mobile & receive FREE Immortelle Precious Serum Sachets! 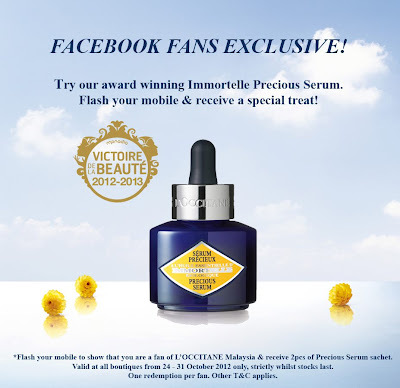 Try L'Occitane's award winning Immortelle Precious Serum! Flash your mobile to show that you are a fan of L'Occitane Malaysia and receive 2pcs of Precious Serum sachet. One redemption per fan. Terms & conditions apply.